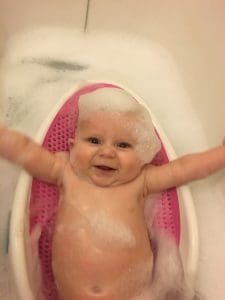 One of Ava’s favourite things to do is to have a bath so when we was sent InfaCare baby bath to try we were super excited . 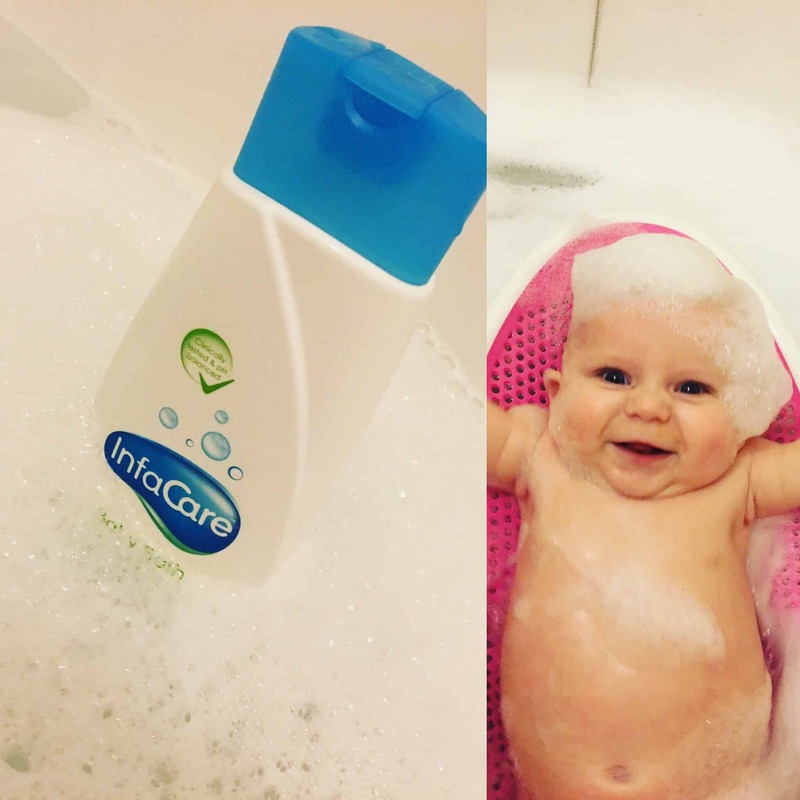 InfaCare baby bath is ultra mild meaning that it is gentle on your little ones skin and is also formulated not to irritate . Making it perfect for little ones and as suggested on the bottle is perfect for babies from 1 month. 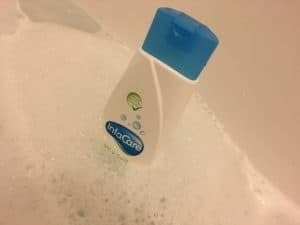 The baby bath is fragranced with a lovely smell I would liken it to nappy sacs (obviously unused ones ) and personally I love this smell. The bottle suggests that the bubbles are long lasting and this can be seen in the picture above the bubbles are amazing and they do last for ages , even with Ava splashing in them . I still had bubbles in my bath once all the water had drained out !. To get great bubbles you only have to use a small amount of the product which is amazing meaning this bottle will last forever !. When I got Ava out the bath her skin felt so soft and smelt amazing . We are lucky that Ava doesn’t have any skin conditions like eczema ,but if she did I would defiantly make sure I had this in the house to bath her in. We have been Sent this product for free in return for an honest review .